James R: This film will forever be known on this side of the Atlantic as 'The one delayed by the World Cup' - as much as I enjoyed the world's premier football knockout competition over June and July, it was massively disappointing to learn that, in their infinite wisdom, Disney/Marvel were shifting the release date of Ant-Man And The Wasp to August over here. I managed to avoid any spoilers but, in this digital age, waiting for this movie felt like a throwback to the 1980s where UK audiences were made to wait for films, with only stills from a copy of Starburst to tide us over. The second outing for Paul Rudd's micro- (and sometimes macro-)sized hero represents something of a conundrum that might not be immediately apparent when you consider the hard facts; this is now the twentieth - twentieth! - Marvel Cinematic Universe movie, (so the studio have got this hero film thing running pretty smoothly) and a no-brainer sequel reteaming most of the creative forces of a film that grossed north of $500 million worldwide. However, Ant-Man And The Wasp has bigger problems than some of the other Marvel properties. Part of the charm of 2015's Ant-Man was that it gave us another texture to the MCU in that it was, at heart, a heist movie. 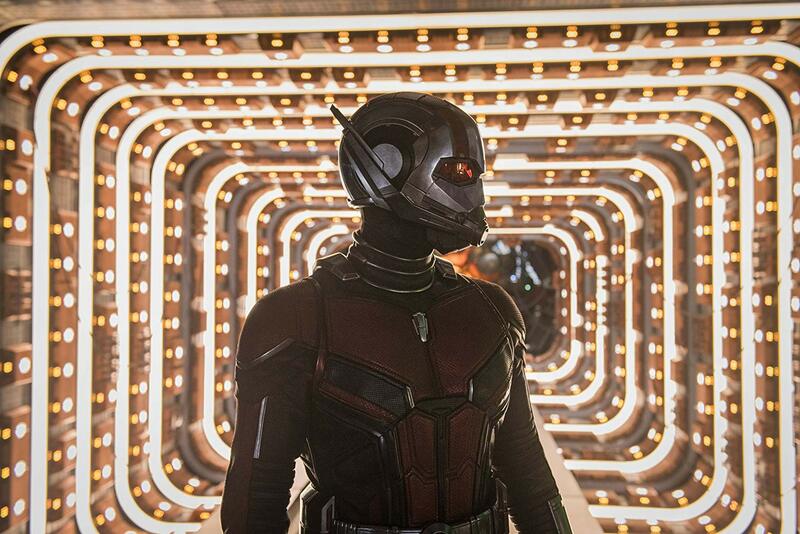 Despite a seemingly-troubled conception (with the departure of Edgar Wright, and a rewrite of the screenplay) the first Ant-Man was a film that centred around the redemption of Scott Lang, and a series of break-ins. 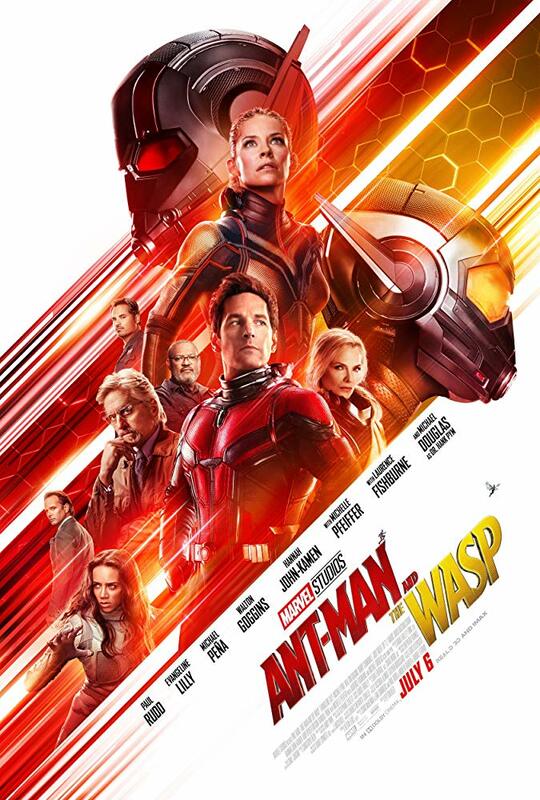 Add in the comedy chops of Paul Rudd and Adam McKay and what we got was the lightest Marvel movie in tone, but also one with a strong and distinct narrative. Jumping forward to Ant-Man And The Wasp, things are different. As director Peyton Reed said that this was "part action film, part romantic comedy", and wanted it "to be a little more of an Elmore Leonard Vibe." So, the challenge here was to deliver what all good sequels should do: expand on the original, give us more of the same stuff that we enjoyed last time, whilst looking to do something new - oh, and pick up some of the narrative strands of the original film. And then tie it in to the wider MCU. When you consider all this, Ant-Man And The Wasp is a movie that aims big, whilst staying grounded. Undoubtedly, the strongest aspect of Ant-Man And The Wasp is its cast. Marvel have usually been terrific with their choices, and Paul Rudd continues to be an incredibly likeable leading man, with multiple comedic gifts - he is a Marvel character most people can empathise with. Rather than being a genius or a god, he's making it up as he goes. Once again, Michael Peña proves to be the secret sauce in the Ant-Man recipe, providing yet more priceless anecdotes and support to Scott as his also-reformed friend Luis. In principle, this should also be Evangeline Lilly's movie - she certainly was worthy of equal billing in the original Ant-Man, but here she felt a little one-dimensional - the search for her mother providing her entire motivation, with her relationship with Scott sadly reduced to a few spiky exchanges until the final act. Given the tricky demands of this sequel, Ant-Man And The Wasp isn't quite as enjoyable as the original: in (understandably) shifting the focus from a heist movie, the final experience is one which packs less of a punch. As usual with Marvel movies, villainy remains a problem, but here, it's not that they're uninteresting: if anything, Ghost is a little too interesting. Ghost is revealed to be a tragic character merely trying to survive following a life of cruel servitude for S.H.I.E.L.D. Given how intriguing she is, it feels like she's short-changed with the amount of screen time she gets. 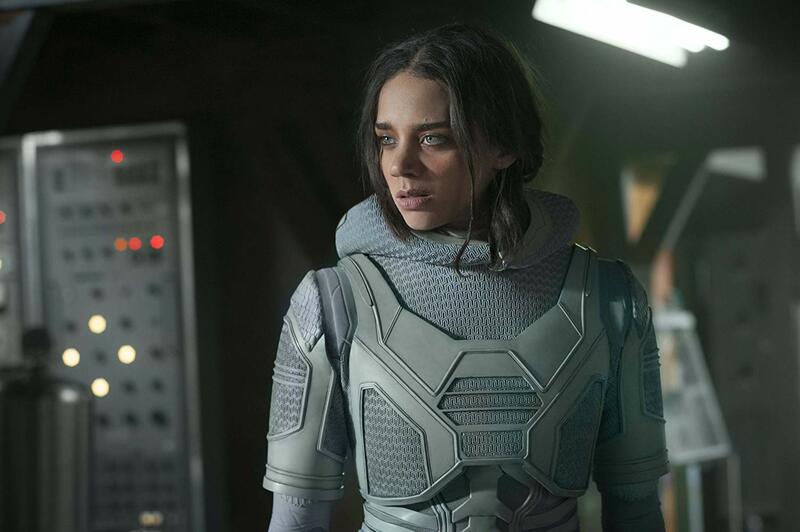 She's worthy of a film to herself, and John-Kamen deserved more time to make Ghost even more compelling. Sonny Birch on the other hand is under-developed to the point of caricature; a character whose main function is to exclaim: "I want that! Do whatever it takes to get it!" On reflection, either of these characters could have made for interesting antagonists - it felt like they doubled-down and lost in choosing both. Despite this, Peyton Reed still delivers a film that's an enjoyable two-hour romp. His love for the Marvel Universe is obvious, and his special effects team have done a great job in continuing to find new takes and angles on being microscopic and gigantic (and virtually all points in between). There's several great laugh-out-loud moments (including perhaps Stan Lee's funniest cameo to date) and, crucially for me, I never looked at my watch once. One minor gripe away from the film itself though is levelled at Marvel's usually canny marketing team: given how well they kept the biggest secrets of Avengers under wraps, it seems strange that the Ant-Man And The Wasp trailers revealed virtually everything: the big set pieces and a number of the comedy beats were all laid out, and it was sad not to feel surprised by some of the developments on screen.